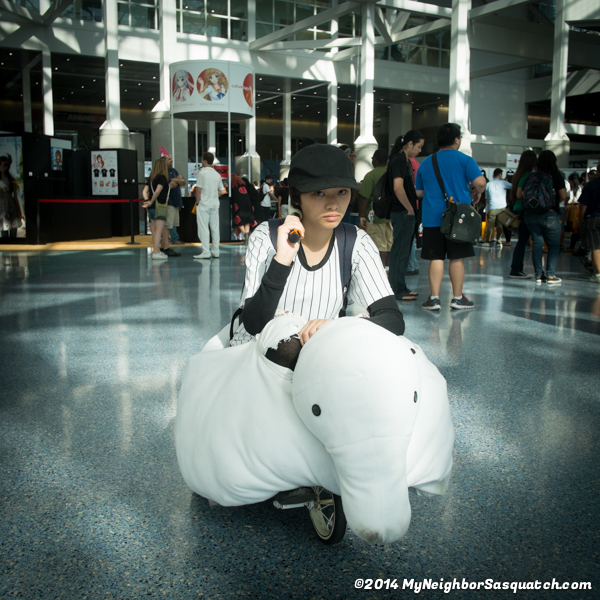 Published July 9, 2014 at 600 × 600 in AX 2014 Day 4 pictures All uploaded!. This might be the only photo of her on her tricycle. Right before this picture, ‘the ‘man’ said she couldn’t ride around AX on tricycle. Personally, I thought it was pretty cool cosplay. I hope her day wasn’t totally ruined.